Finish: Rustic Chic: It's not about geography, Rustic Chic happens everywhere. It's new furniture designed and made with a reclaimed vibe. All finishes meet in Rustic Chic -- the Mid-Century Modern walnut and Scandinavian Chic weathered finishes -- plus metal and leather on select pieces are also in the lively mix. 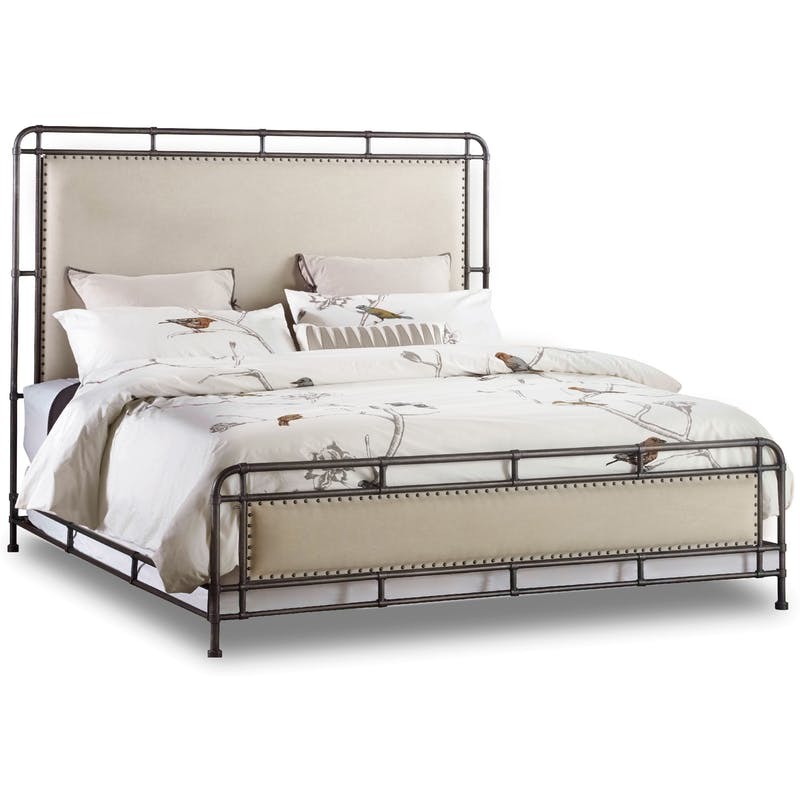 Click here to receive email quote for Slumbr King Metal Upholstered Bed item.